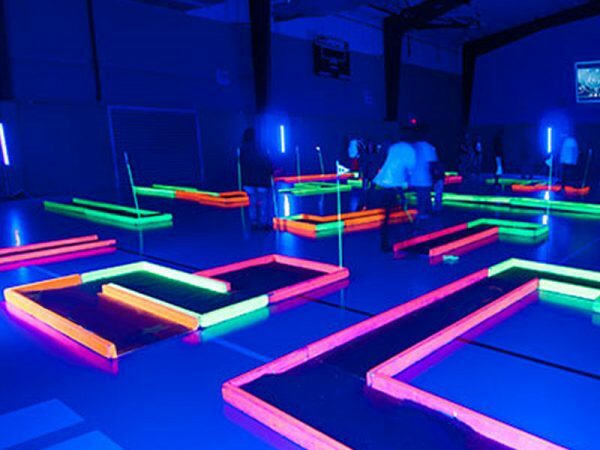 Celebration Authority loves to add a twist to typical entertainment rentals, like our glow in the dark 9-hole mini mobile golf course. If you have been waiting for a new version of the 9-hole mini golf course, then you should feature ours at your next event. This unique indoor glow in the dark experience comes to life under black lights. 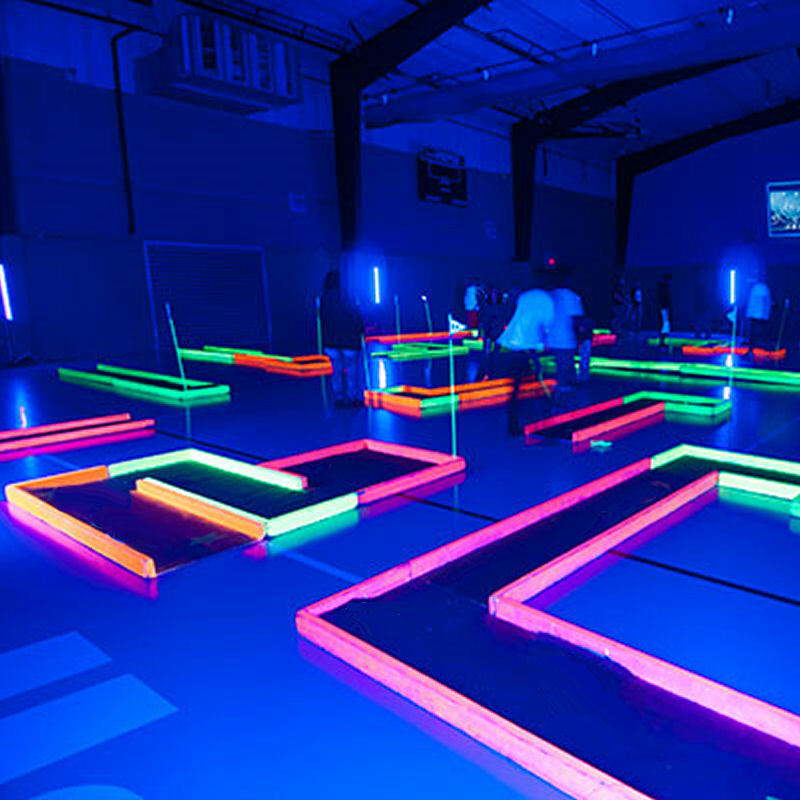 With glow in the darks balls, putters, course and illuminating black light effects, this will be a cosmic time!